Over the years, the U.S. military has amassed a rather enviable stockpile of arms, including some of the world’s most powerful and lethal weapons. Take, for instance, the Laser Weapon System (or LaWS). Developed as part of a $40 million project, this badass laser gun can obliterate enemy drones several miles away within seconds. More formidable perhaps is BAE’s experimental electromagnetic railgun that can hurtle projectiles at incredibly high speed of Mach 7. 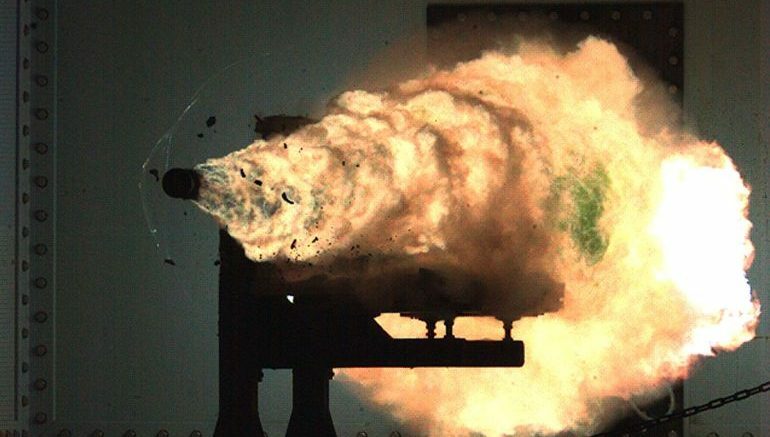 The electromagnetic railgun represents an incredible new offensive capability for the U.S. Navy. This capability will allow us to effectively counter a wide range of threats at a relatively low cost, while keeping our ships and sailors safer by removing the need to carry as many high-explosive weapons. [It] will give our adversaries a huge moment of pause to go: ‘Do I even want to go engage a naval ship? Because you are going to lose. You could throw anything at us, frankly, and the fact that we now can shoot a number of these rounds at a very affordable cost, it’s my opinion that they don’t win. What’s more, the absence of warheads makes this system much safer and lighter than regular arms. 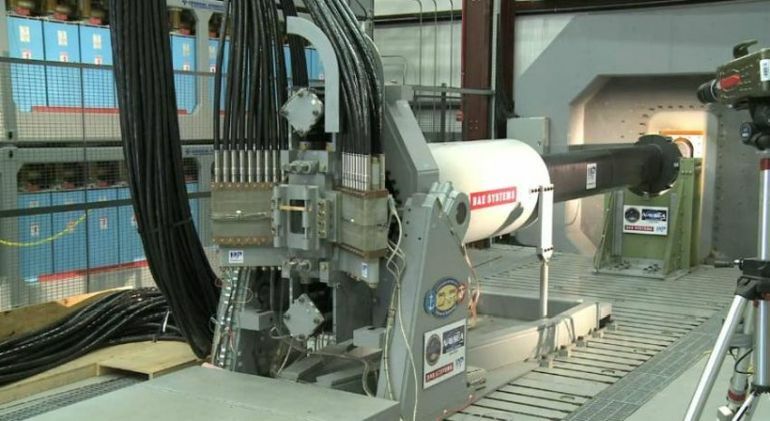 The railgun can be operated by a single person without much technical expertise. As part of a test at a terminal range in Virginia, the electromagnetic projectile launcher shot its very first projectile last November.